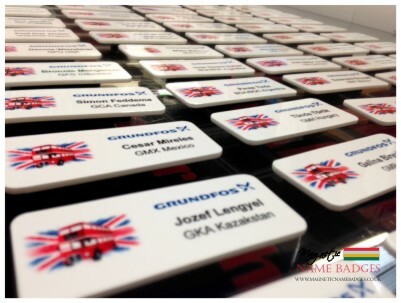 As a UK manufacturer of name badges we are extremely proud to work with an increasing number of diverse customers in fulfilling their name badge requirements. It’s true there are a number of name badge companies who can fulfil an initial bulk order of badges, but few who are able to fulfill the inevitable replacement name badges or additional name badges for new starters. 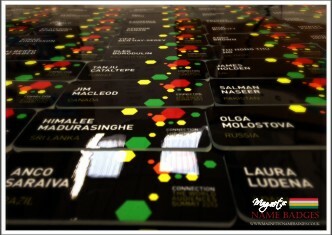 Then of the few name badge suppliers who do, most operate a minimum order value or quantity, which means additional name badges are expensive or you need to wait for a certain number of badges before placing an order. 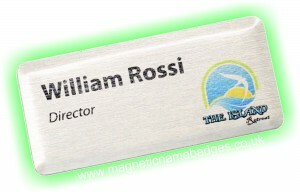 Why choose Magnetic Name Badges? 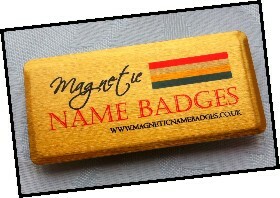 Here at Magnetic Name Badges we’ve always recognised the importance of not only fulfilling the larger orders but of equal importance the ongoing commitment to our customers to produce any future orders without charging a premium, or having a minimum order quantity. In fact, we’re so committed to this, we actually give you a 10% discount off any future orders for your name badges and are as happy to produce one badge as we are any given number of badges. 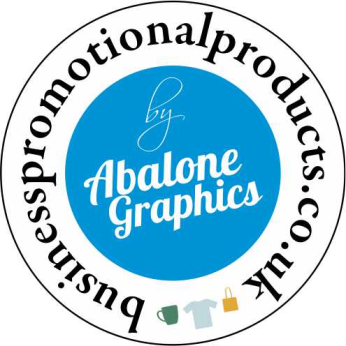 We also offer the same short production timescales, digital proof and outstanding customer service to these orders as we do for orders of hundreds or even thousands of name badges. 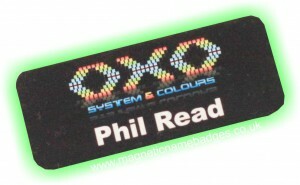 In addition to this we also keep digital records of all name badges we’ve ever produced, so regardless of how long it is since you last ordered name badges, obtaining additional or replacement name badges is simply a case of supplying us with the name and where required job title, we can then produce these badges to perfectly match any name badges we’ve supplied previously. 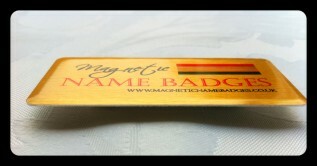 If the benefits above don’t convince you to consider magnetic name badges for your name badge requirements, maybe consider that we produce all our badges on site right here in the UK. This enables us to easily manage stock and order fulfillment and ensures we can produce badges within timescales that other name badge suppliers can’t rival, as well as offering some of the most competitive priced name badges in the marketplace. 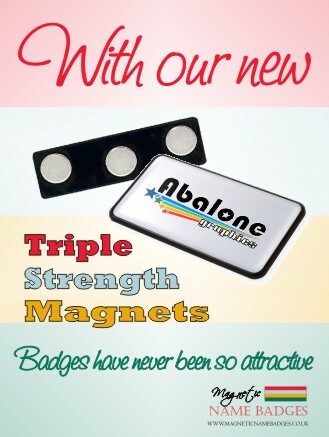 We also supply all of our name badges with our triple strength name badge fixing as standard, naturally we can supply any of our badges with pin fixings if this is preferred. 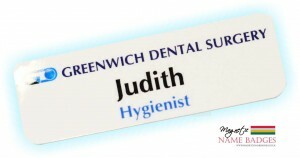 As for our range of name badges we have our plastic name badges, ever popular due to stunning colour reproduction, range of sizes and the low cost. Plastic name badges are perfect for all manner of businesses and are the number one name badge choice for Nurseries, Schools, Hospitals and the NHS. Our metal name badge range is offered across a number of metal finishes and sizes as well as a custom cut service which is only marginally more expensive than our standard metal badges. Metal name badges come in the choice of Silver, Gold or White and are extremely popular and ideal for all kinds of businesses, especially popular with Hotels and as badges for conferences and exhibitions. Finally our Domed and Premium Domed are another a popular range, often the first choice for retail orientated businesses or those looking for a traditional framed name badge. Our entire range of name badges are produced in full colour and can feature any logo, name, job title and even picture, all with no set up costs, and no minimum quantity. We are firmly committed in producing great name badges at great prices and in ensuring we can do this for all our customers and all orders irrespective of quantity both now and in the future. 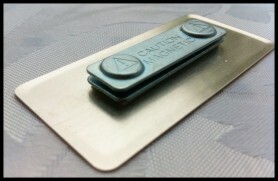 Recently we have produced a number of magnetic name badges featuring the above logo for different NHS Hospitals and Medical Practices. Whenever we produced badges featuring #hello my name is logo we always commented on how nice the logo looked and worked on the different kind of badges we produced it on. Unfortunately I think its fair to say that as a relatively newcomer to twitter, the #(hashtag) was somewhat lost on us initially. So what’s #hello my name is… all about? Intrigued by the logo we decided to see if this design was part of some new NHS brand guidelines, however it soon became apparent that this wasn’t the case, and it was actually something much more important than marketing or branding. 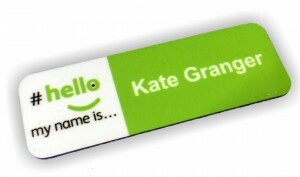 #hello my name is… is a campaign started by Kate Granger, aimed to improve patient experience not just in the UK but worldwide. Kate Granger for those who don’t know, (and plenty now do) is a Doctor and a terminally ill cancer patient, who observed that whilst she was a patient, a significant number of staff looking after her, failed to introduce themselves beforehand. Kate felt this was fundamentally wrong, and so supported by her husband started the #hello my name is campaign, and quite simply the aim was to promote and remind healthcare professionals, the importance of introductions when delivering care. Launching the #hello my name is campaign on twitter, Kate’s campaign has gone viral and she has tirelessly worked to make her plight a massive success. To find out more about Kate and the full story of her #hello my name is campaign we strongly urge you to visit Kate’s website here. You can also find Kate on Twitter here. 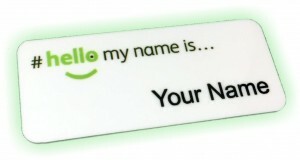 We are more than happy to produce name badges using the #hello my name is logo, but please remember its not about wearing a name badge, it’s all about the importance of introductions in delivering care. 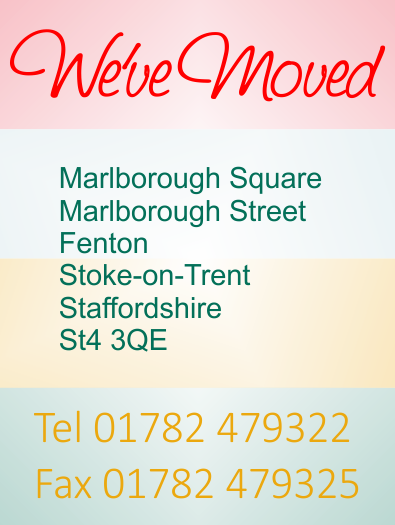 It is with thanks to our fantastic loyal existing, and new customers that we have recently moved to larger premises. Now with well over 4 times more space than our previous premises we are much better equipped to offer the same, (if not better) high level of customer service that our customers deserve. We have also invested in our production area to ensure that we can make this move without needing to increase our prices. Well unfortunately there is always one, but its only a small one, we have had to change our telephone number (the old number is diverted though) to 01782 479322. Rest assured though our new telephone system is way more sophisticated than our old set up, so once again this change was made with our customers best interest at heart. We have worked incredibly hard to ensure our move has had minimal, if any impact upon our day to day service, and are delighted to report we are now fully operational from our new premises. 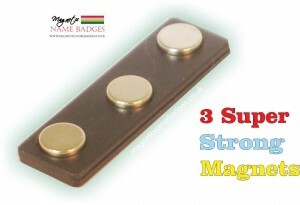 Its fair to say that our metal magnetic names badges are the most popular badges from our magnetic name badge range. In light of this we have we have recently added a new bespoke custom size option, across our full range of metal finishes. With no set up costs and no minimum quantity, we are once again bucking the industry trends and offering our customers the option of having full colour metal name badges, bespoke cut to any square or rectangular size. 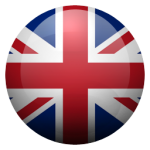 This service is available on any of our 5 different metal finishes, and naturally all custom cut badges are supplied with our triple strength magnetic badge fixing as standard. so customise doesn’t have to mean compromise. To take advantage of this great new service simply let us know the dimensions of the badge that you require, and we will produce it for you with the same full colour branding, and personalisation options, as our standard metal badge range. Our new bespoke custom cut metal name badges are available across all our 5 metal finishes which includes, Brushed Silver, Mirror Silver, Brushed Gold, Mirror Gold and Gloss White. 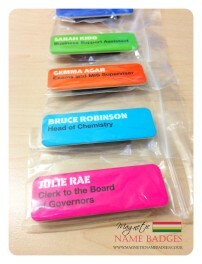 Posted by Magnetic Name Badges on Sep 6, 2013 in News | Comments Off on Plastic Name Badges… customise without compromise.